once per day or for the rest of the life?? We're sorry. Our registration system is momentarily unavailable because of heavy traffic volume. 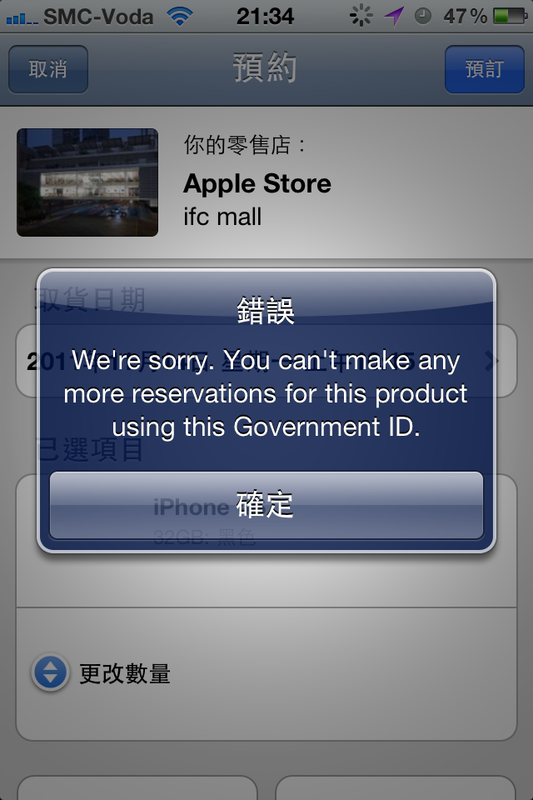 3gs - ios 5.0 是否要UPGRAGE? 一ID只能訂一次！ 即係只要用一個ID成功訂到一次，之後就冇得再訂?? 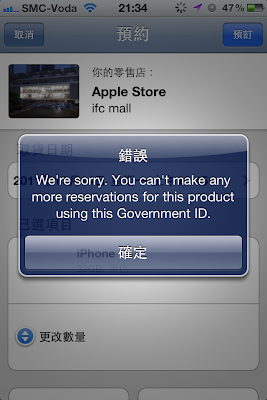 同埋個ID係Apple ID 定 HKID??? It's not apple problem. It's china and chinese people problem. Chinese people are too rich nowadays. If u want to buy 4s at original price, u can when iphone 5 comes out. hk people really on 9. waste so much time to wait for the web site. if you can spend your time meaningfully, u can earn much more iphone4s. What the F U C K! YES LA!!! still cannot login now! did any lucky guys made it? app and website all down, i am wondering who can get into it, fully overloaded. why do u guys call it appS, mathS WHERE DOES THE S COME FROM? appS mean applicationS!!! Please check with apple.com!! !